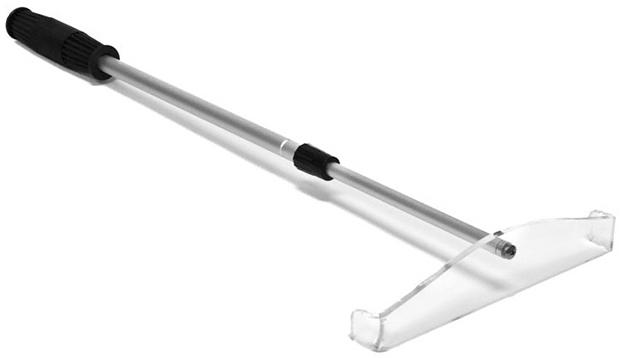 Our highly discounted Telescoping Deluxe Aluminum Roulette Rake with black handle extends out up to 27 inches with a clear acrylic front scoop measuring 8 inch across. Roulette rakes are used to scoop up the losing chips on the roulette table. This is considered more fashionable in European casinos than the dealer using his hands to rake in the chips as practiced in many of the US casinos.